Busy week in Raleigh starting on Tuesday, Nov 7. Important events on Nov 7, 8, 9 and 10! Plus topic for next Tuesdays With Tillis is #MeToo. Do you have a story to share? Be sure to vote on 11/7/17 in most municipalities! Local elections is where people have the most say. And many elections in NC have hinged on a single vote. See “Your vote matters: 31 NC elections decided by 1 vote, 69 elections by 5 or fewer,” News and Observer, 10/24/17. 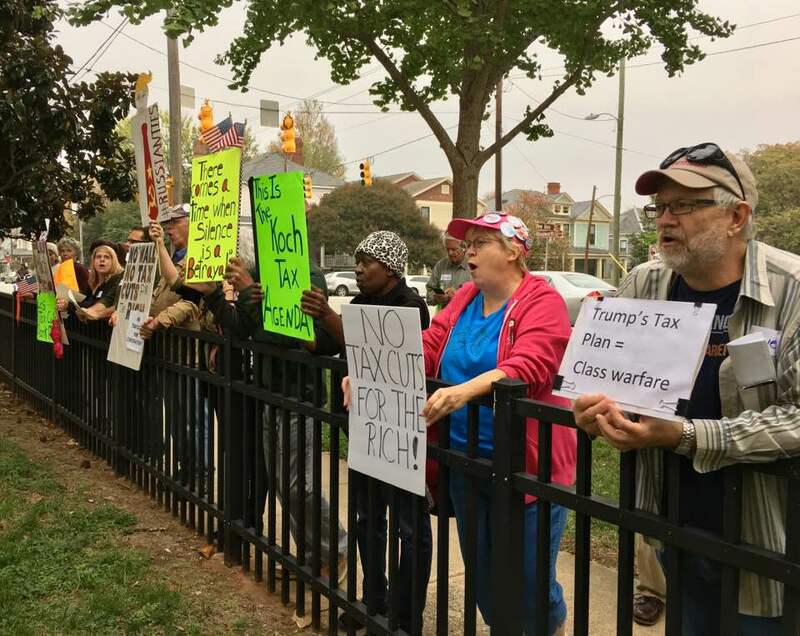 The weekly Tuesdays With Tillis protest is 11:30am-12:30pm at 310 New Bern Ave, in Raleigh. The theme is Defeat the #TrumpTaxCuts. Tuesdays With Tillis at 11:30am at the Federal Building on New Bern in Raleigh. We have a great new sign! I love this protest, also because it is done in an hour. This is the 42nd week. Find on facebook at https://www.facebook.com/events/526075321078863/. Raleigh NOW meeting on Nov 7, at 7:15pm, at Cameron Village Library in Raleigh (note: new location). Topics are pro-choice signature ad, and planning for the January Roe event. First, we mourn this great unexpected loss. Hillary Clinton was everything many of us wanted in a president – a compassionate, resilient, intelligent woman and politician with the necessary experience and temperament for the job of leading our country. Clinton had an inclusive vision, policy knowledge and skills to spare. You can read “133 reasons (and counting!) Hillary Clinton should be our next president,” Huffington Post, 10/28/16. At the same time, you can read why the Trump/Pence ticket was and is our greatest fear. For many or most of us, a fear not even recognized as a real possibility until it happened before our shocked and disbelieving eyes. Read why we fear Trump and for the safety of friends and neighbors and minorities of all kinds at “An American Tragedy.” Many of us feel, as the article states, “[t]he election of Donald Trump to the Presidency is nothing less than a tragedy for the American republic, a tragedy for the Constitution, and a triumph for the forces, at home and abroad, of nativism, authoritarianism, misogyny, and racism. ” That bad. Donald Trump is America’s “Brexit” (New York Times, June 2016). The world is still wondering ‘How did Brexit happen,’ 6/24/16, in the same way it wonders how did Donald Trump win. Then we buck up and look toward the future. We suggest a few main things to do, once we get our minds around this new and darker future. 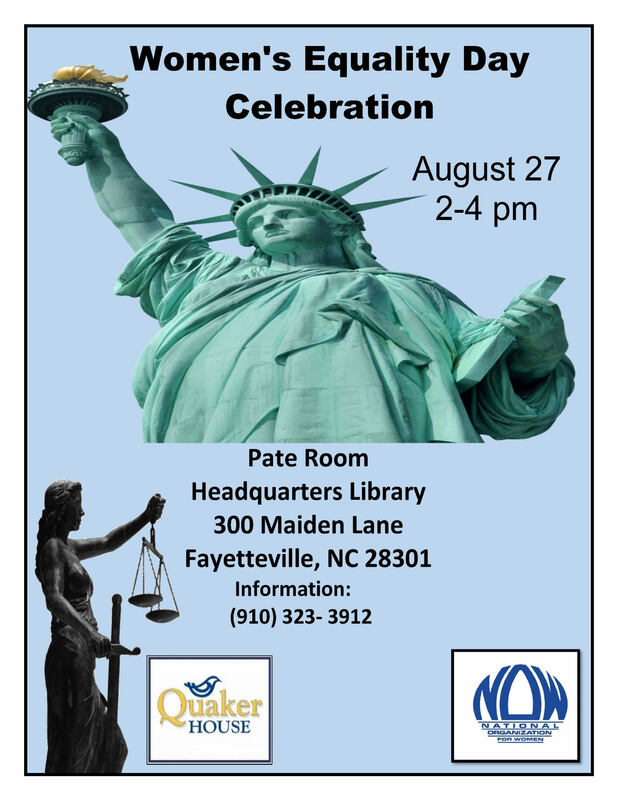 Fayetteville NOW and Quaker House join together again to celebrate Women’s Equality Day on Saturday, Aug 27, 2-4pm. Exciting news! NC is making the first state alliance of the ERA Coalition organization. Join us for our launch event! It begins with a press conference at 2:30pm. At 3:30pm, we’ll have a panel discussion, “Why the ERA? Why now?” That will be followed by a book signing and reception at 4:30pm. 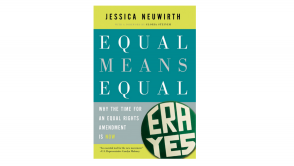 We are featuring Jessica Neuwirth, the author of “Equal Means Equal: Why the Time for the Equal Rights Amendment Is Now” Neuwirth is President of the ERA Coalition. Great upcoming community event (not an NC NOW event). This is a topic of many current, past and future conversations in NC, especially during a presidential election year. How much is gerrymandering the “problem behind the problem” of our current political, moral and economic upheavals in NC? Join Community UCC’s Economic Justice Task Force in an expanded discussion and exploration of the issue with Jane Pinsky of the NC Coalition for Lobbying and Government Reform. 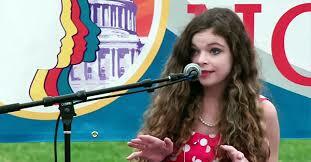 Pinsky has been director of the NC Coalition for Lobbying and Government Reform since 2007. The Coalition, in which Common Cause North Carolina is a key player, works to make government, at all levels, more open and accessible to the citizens of North Carolina. It works on ethics, transparency, and redistricting reform. This Women for Hillary event is part of the “She Wins, We Win” campaign. 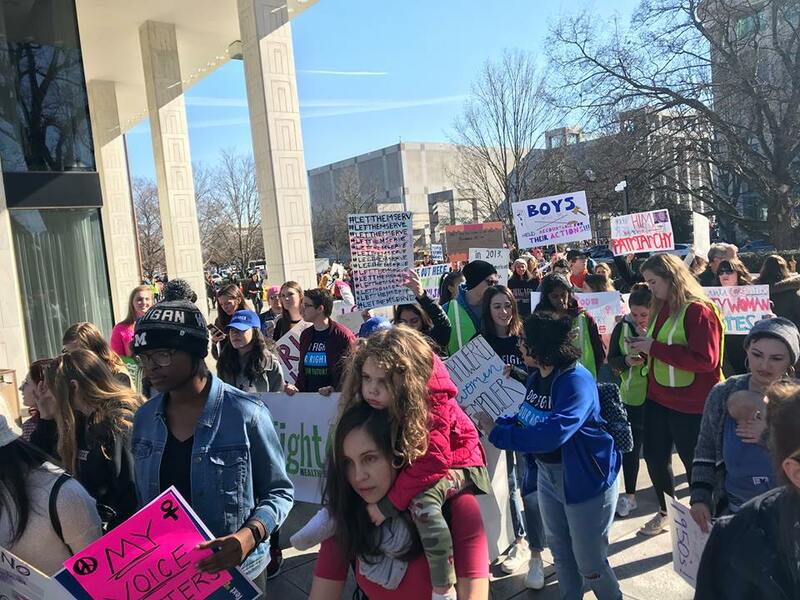 Ellie Smeal (Ms. Magazine and Feminist Majority), and Terry O’Neill (NOW) are coming to Raleigh for a rally and press conference on Thursday, Mar 3, at 11am at the Legislative Building. We have some really great speakers from North Carolina as well! The forwarded press release includes the press conference speakers only. The press conference will be followed by a rally in the Auditorium! Our great speakers from around the state include Rev. Michelle Cotton Laws, Mandy Carter, fiery teenager Madison Kimrey, a mother/daughter team (11 year old daughter), individuals, and leaders of various women’s organizations. We are speaking on topics that are very important to women, like equal pay, education, LGBT issues, immigration, and reproductive justice. Please join us! We’re all working for a better future for North Carolina and for America! Fayetteville NOW is working with other organizations to promote discussions around race and white privilege. This 3 part ‘Cracking the Code” series works to promote understanding each other through cultural awareness.